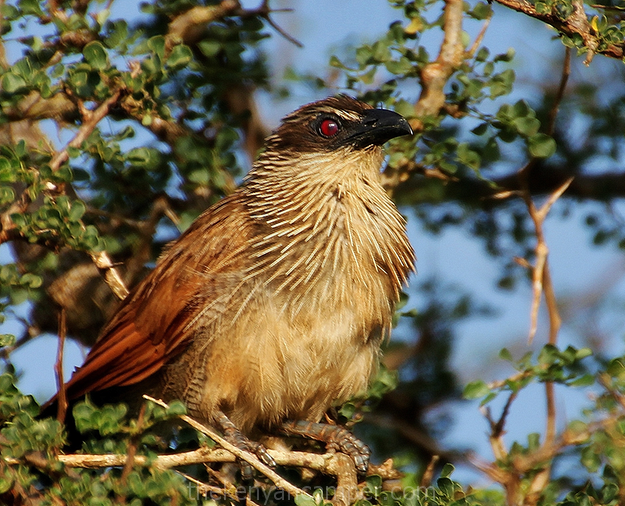 Lumo Wildlife Community Sanctuary was formed in 2001 as a merger between three community ranches namely LUalenyi, Mramba and Oza (hence the name LUMO) as a means of wildlife conservation and income generation from tourism. 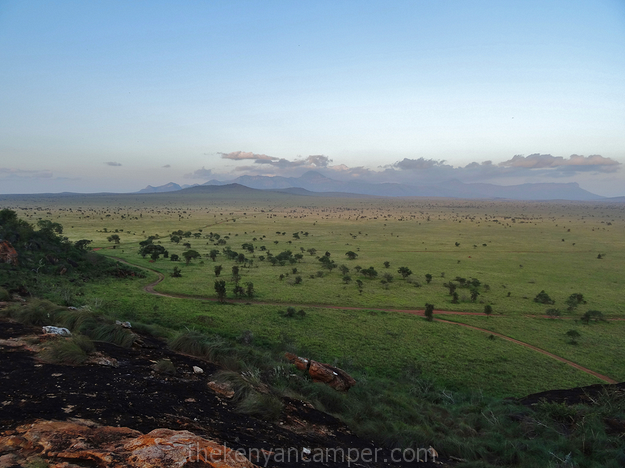 At 40,000 hectares it is comparatively small conservancy compared with its much larger neighbor to the west, Tsavo West National Park but is larger than its better known neighbor to the north, Taita Hills Wildlife Sanctuary. 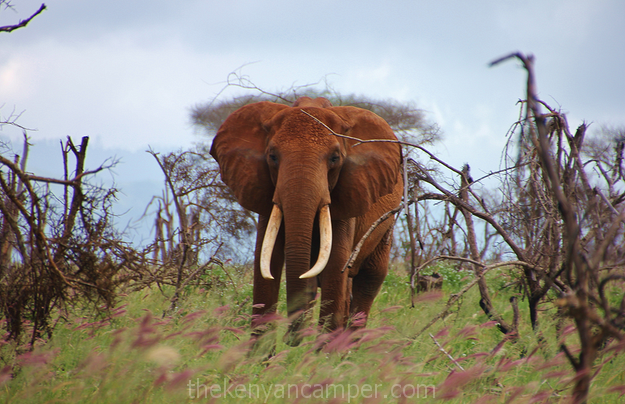 It serves as an important wildlife corridor and elephant migratory route between Tsavo East and Tsavo West National Parks and as such forms an integral part of the Tsavo Conservation Area. 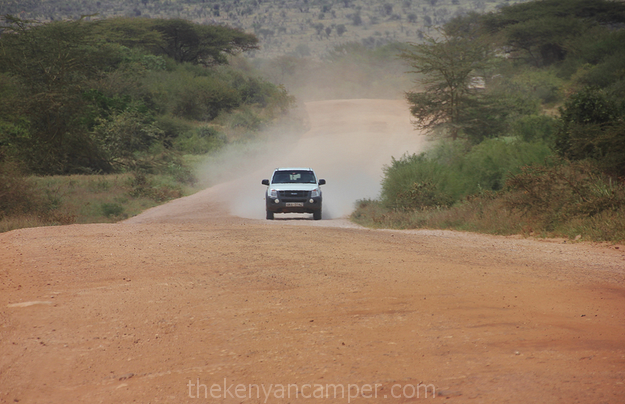 If driving from Nairobi using the Nairobi Mombasa Highway, this is a long and tiring journey. There’s just no way around that (especially if you’re keeping to the speed limit which you should do), the only advice I have as usual is an very early start. 5am will ensure you avoid most of the truck traffic and the temperature is more bearable. Those of you driving from Mombasa will have it much easier. 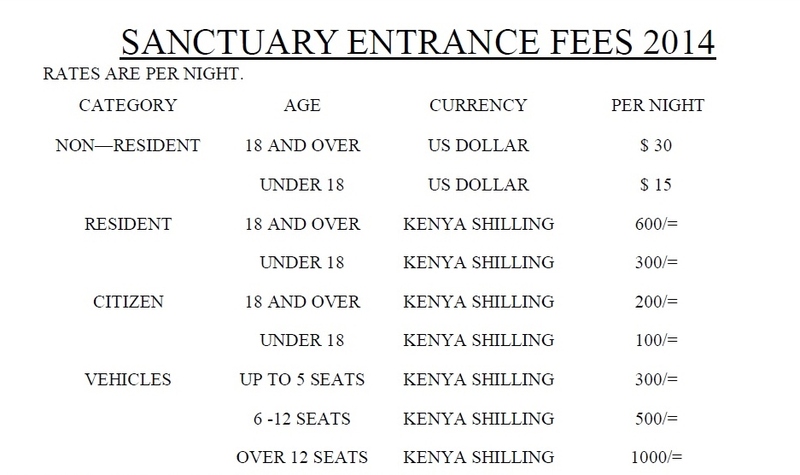 Nairobi – Voi will take about 4-5 hrs. 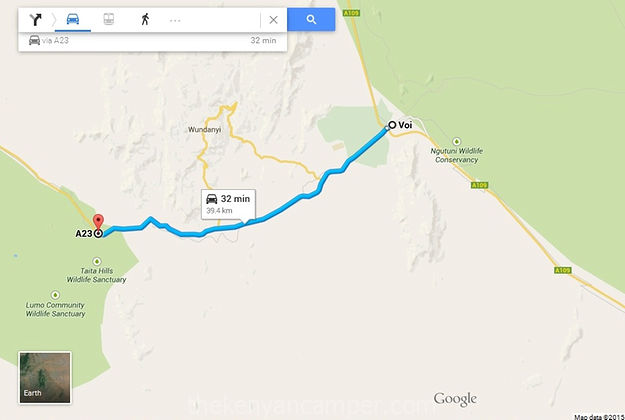 The road from Voi – Mwatate is all good tarmac and took us roughly 30min. However the tarmac ended soon soon after Mwatate. 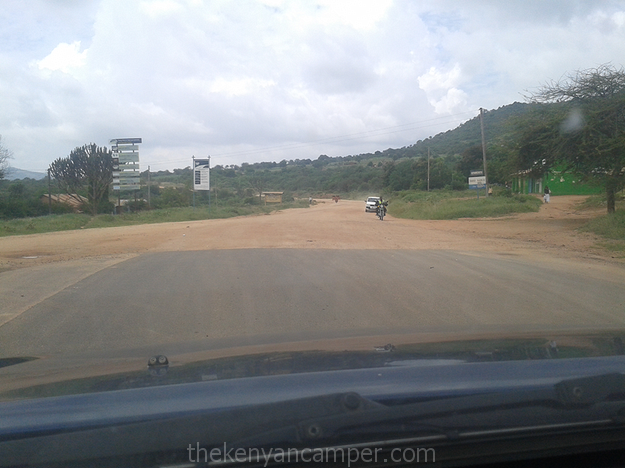 I am unsure if the road works from Taveta town – Mwatate have began. End of the tarmac after Mwatate. Mwatate – Lumo gate was a bone jarring 45min -1hr on corrugation. With patience saloon cars will make it though. 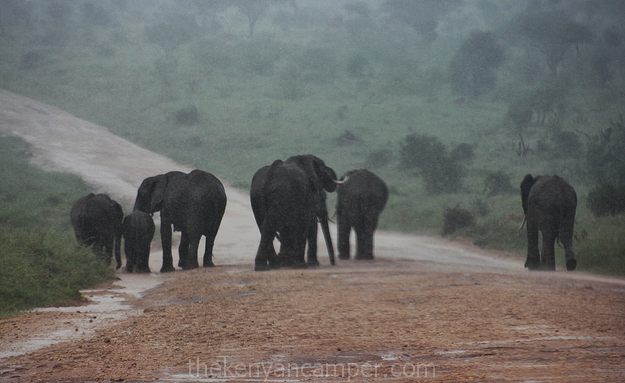 There was a slight shower while still on the public road to Taveta town and these elephants held us up while they drank their fill from the road drainage. Took a truck giving a slight toot on its horn to clear the road and get us moving again. 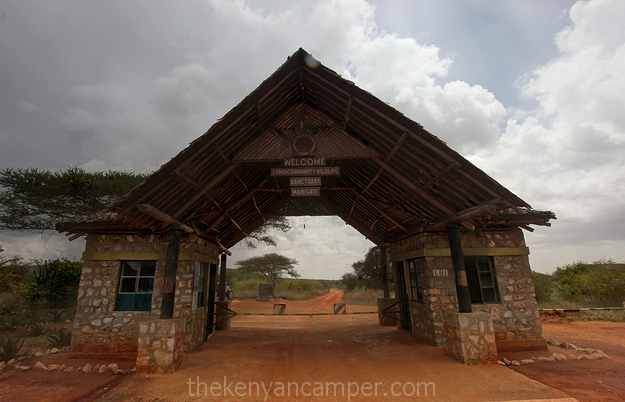 The entry to the conservancy couldn’t be more friendly, quick and very efficient. If you are a citizen or resident remember to carry some identification to that effect. 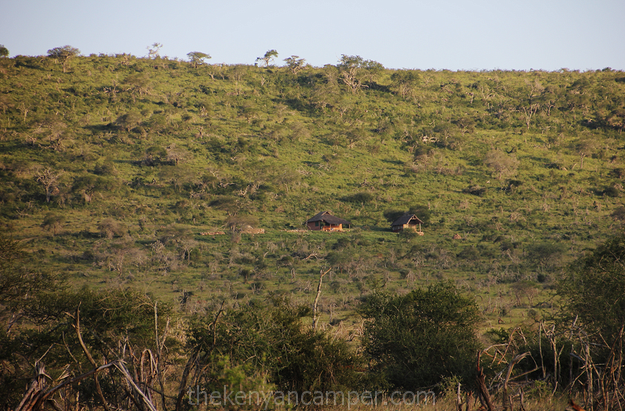 However I must mention even for non-residents Lumo is one of the most affordable wildlife sanctuaries. I’ll give the costs as always later on in the snapshot section. 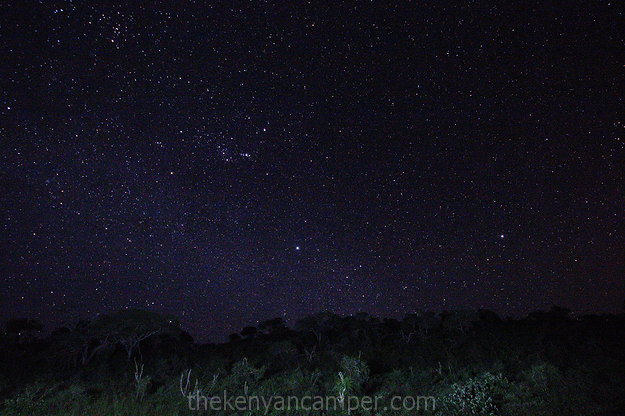 We hadnt paid the camping fees in advance so drove up to the lodge to do that first. The reception we got there was confusing at first. We were met with a yet another warm smile, a moist towelette to freshen our faces and a glass of cold juice. At one point The Muse whispered to me, “Do they think were staying at the hotel?”. 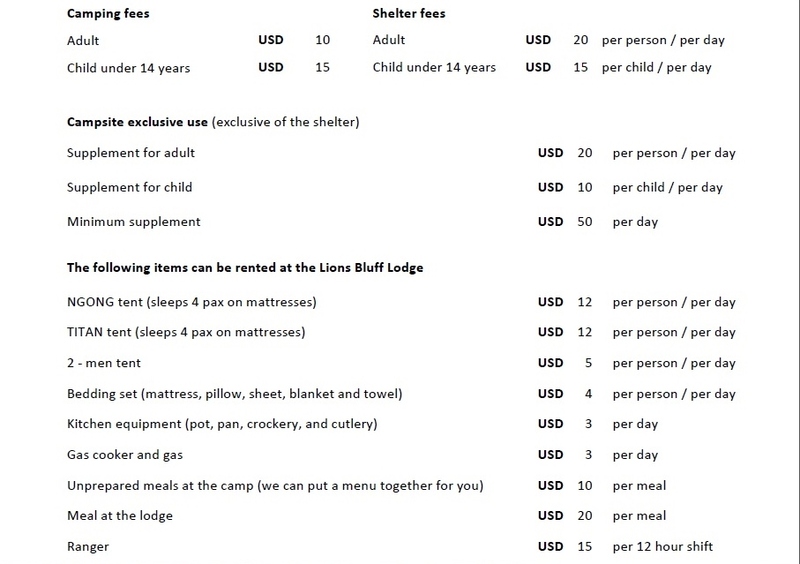 We later to found out this is simply how the management operates, throughout our stay we were treated not as campers, but as guests. The campsite is located right below the lodge about halfway up the bluff and takes about 15min from the gate. From the lodge, which is at the top, its a 15min drive halfway down the bluff. The campsite as you approach from the gate. The lodge is not visible but is further along to the top and right of the photo. The road is slightly steep and rocky to both the lodge and the camping site so a vehicle with marginally high clearance required is more suitable. Driving up to the campsite. Its difficult to describe the campsite without sounding too cliché, and I’m not exactly a professional photographer so we’re kind of in between a rock and a hard place. But here it is….. 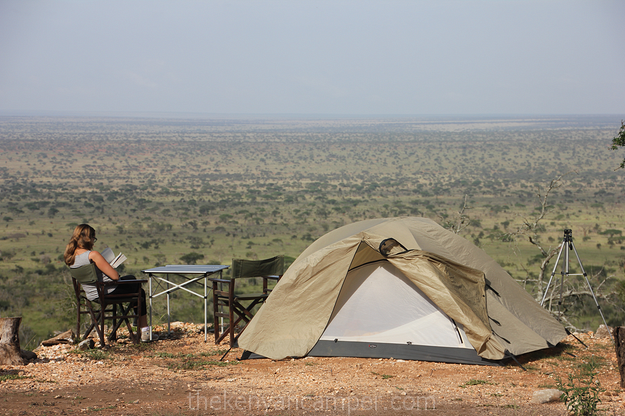 The campsite looks out over miles and miles of the the conservancy. It is just one of those things you have to see for yourself, Photos (mine at least) do not do it justice. Great vistas across the plains. The campsite is large enough to accommodate large groups. The campsite is top notch terms of facilities. 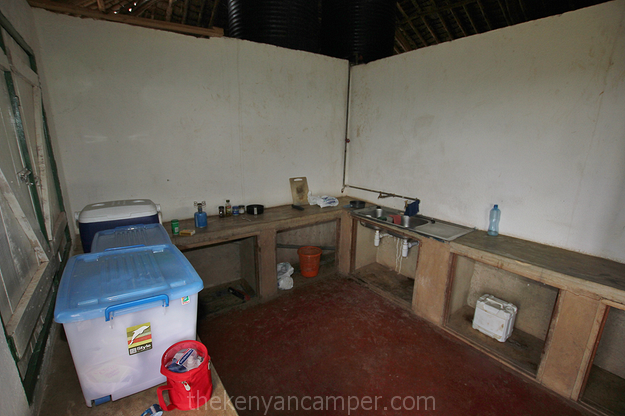 There are 2 structures, one houses a kitchen complete with sinks with running water, and lockable cupboards to keep your food safe from baboons. 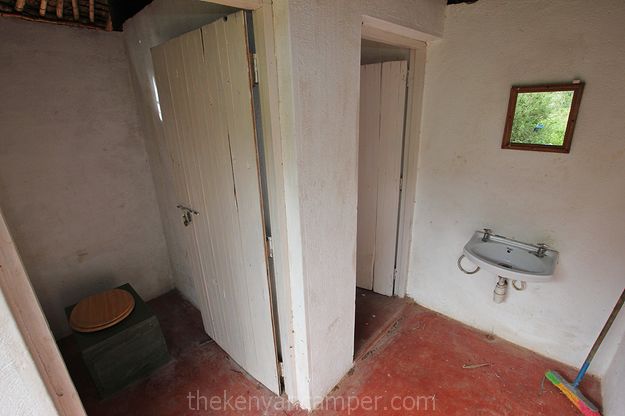 Attached is also an ablution block with a sit down toilet, sink and a shower both with running water. 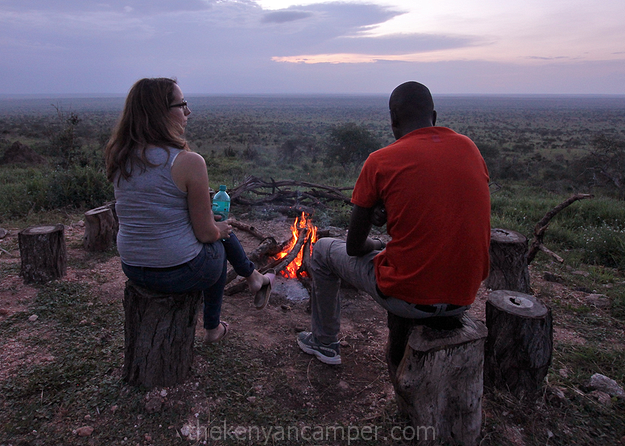 These may seem like trivialities but if you’re intending to camp in Kenya you will quickly realize most camping sites simply don’t offer such facilities. There is also a nice shaded patio, which comes in handy as the sun can be very hard during the day. Its actually the only shade around, elephants have knocked down all the trees. 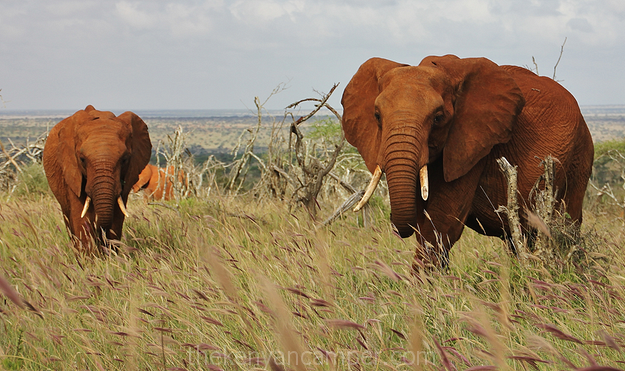 Elephants can be quite destructive to vegetation, another reason to keep these migratory corridors open. The other structure has 4 beds with mattresses for those who may not have camping gear or for some insane reason want to sleep indoors. 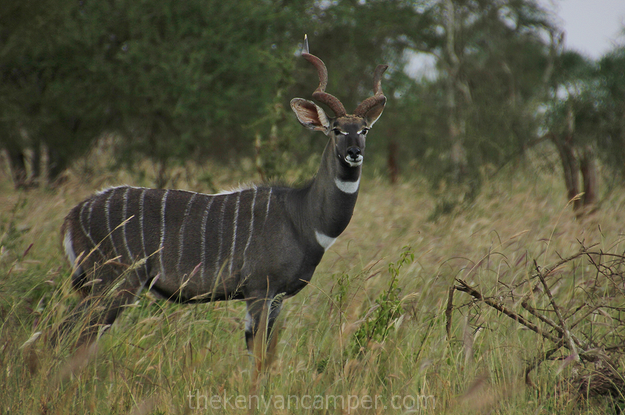 Lumo is a joy to drive through, the roads are smooth and the vegetation is low making it perfect for game spotting. Here are some of the inhabitants we came across. By far the most numerous animals we saw were elephant…There were loads of them, mothers, fathers, brothers (I’m not exactly sure how elephants roll). 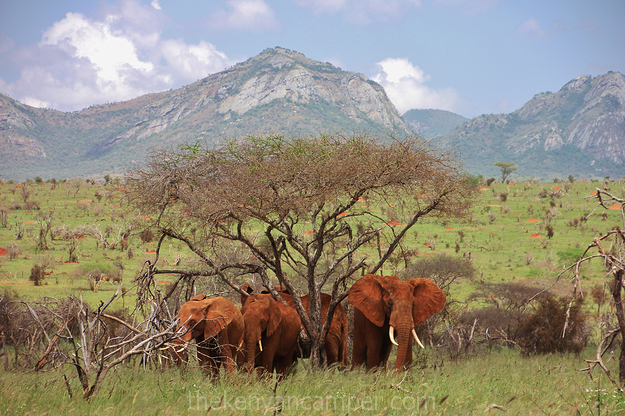 It really reminded me of the elephant families I saw in Samburu. Bask in the splendor of another of my shaky videos! Okay I’m sure you get the drift. 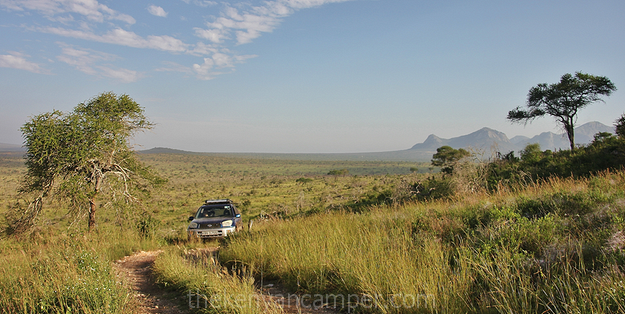 While on the game drive guests on Lumo can also access Taita Hills Wildlife Sanctuary’s 28,000 acres at no extra cost. 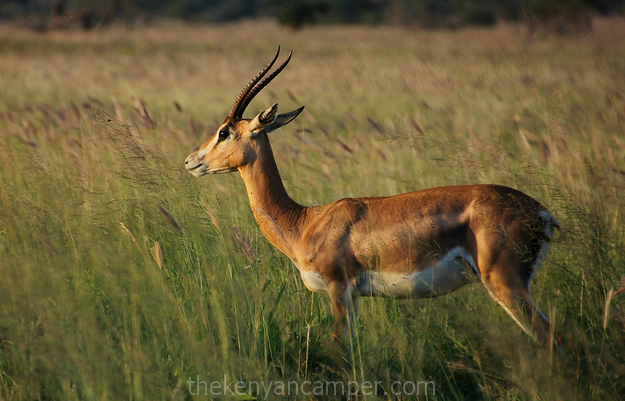 Sundowners on Lion Hill about 40min from camp are not to be missed. My favorite part of any trip. Watching the day end and just shooting the breeze. Firewood is provided free of charge. 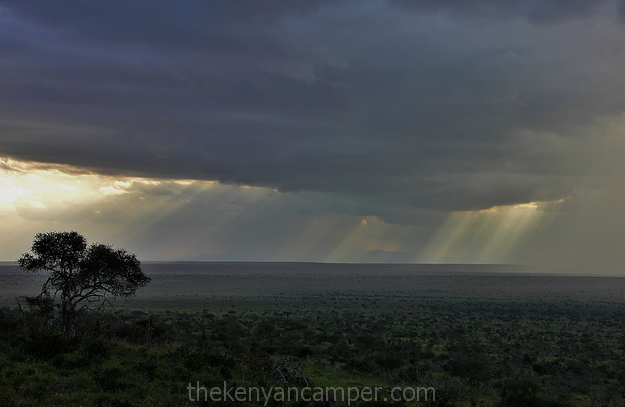 And finally end the day with the usual Kenyan light show. Carry binoculars to watch the game below the campsite. Water is available, but carry your own potable supply. Carry your own table and chairs, its the one thing the campsite lacks. Almost everything else can be hired on site (see below). To find out more about the area. visit the LUMO Community Wildlife Sanctuary website and for bookings contact Lions Bluff Lodge. The Lions Bluff management who manage the campsite make you feel right at home, when it comes to the hospitality game they are clearly where they belong. Special mention to Iain and David for taking the time out to talk matters tourism, community and conservation. One of my highlights of the trip. 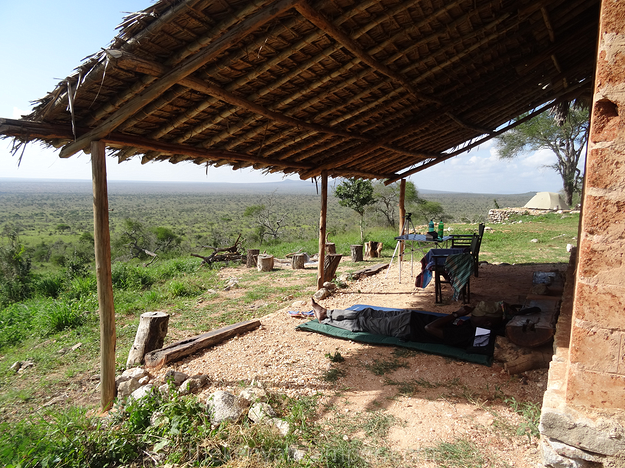 The members of Lumo Community Wildlife Sanctuary have come a long way in creating this conservancy but make no mistake, challenges such as human-wildlife conflict, overgrazing and conflict over natural resources are still a major threat in this and other parts of the country. How can you help? Its simple. Visit, experience and understand. Become a part of the effort to preserve these areas for generations to come. Only if such communities start to receive the financial benefits from their efforts will their value for conservation increase. NB: I’ll be posting a few more photos of the trip with additional commentary on my Facebook page so if that strikes your fancy head on over there. Thanks for stopping by and good to hear you enjoyed the article. Make sure to subscribe so you don’t miss all the other new stuff that will be up soon. Hope you make it to Lumo someday. they are awaiting intrepid travellers like you with open arms. 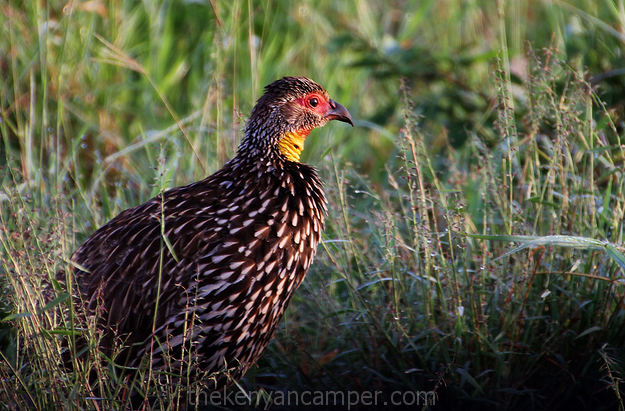 Reblogged this on Un autre Hater..
Good piece…Lumo is a such great place to be.I hope you know about Eye Go Game Spotting(EGGS) it’s a good opportunity to explore the whole conservancy. I as there last year and am hoping to attend this year’s God willing. Hi, yes I know about EGGS would love to do it someday. However there are many other places I have to see before I return to Lumo. Hopefully my travels take me back there sometime. Hello, this is such a nice piece. You have brought out the experience so well and the photos are nice. Most travelers dream of finding a new and unknown destination, somewhere far from the beaten tourist path, where the thrill of real discovery and exploration reward them with new and unexpected experiences, sights and sounds; such is the experience that Taita offers one. In 2013, I spent 3 months as a trainee within the LUMO sanctuary & Taita Hills wildlife conservation areas and can truly relate with your experience. kudos! The last shot of the diamonds in the sky is breathtaking. I loved it! And the information about rates and vehicle clearances is very welcome. Thanks Emmanuel, glad the info is of use. Hi Ken, glad you’re enjoying the journey. I hope our paths across this great country manage to cross. Great article man.I am yet to live up to what u are doing u might say i am at the beginner stage. U should check some of my work on b_titophotography on facebook. Asante sana. Don’t knock the beginner stage, it’s where all great things are born. Thanks for checking out the blog and keep reading! Well,thanks to ur advice and more effort,i have actually been able to set up something,u can look at my work. Unfair…you recommended the wrong place! LOL! Great shots though! There was a big push to sell this history of the area, don’t know if anything ever came of it.